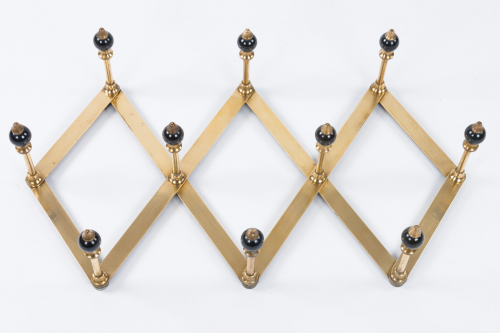 Brass coat rack by Dominioni, Italy circa 1950. It is adjustable, allowing the width to be tailored. The measurements are as photographed. Polished brass with black bakelite balls. Very good condition and the largest size that was made. Stamped Azucena to the rear.